Superdry unisex Ericson joggers. 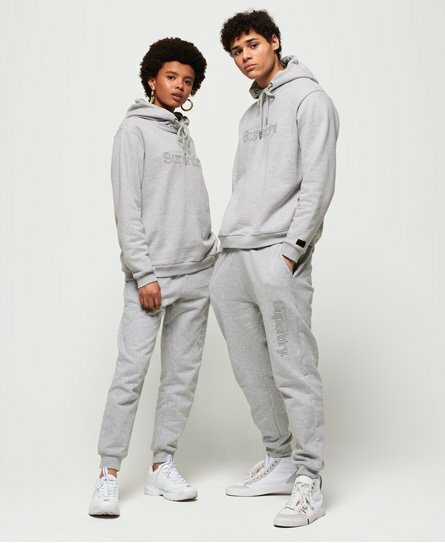 Perfect for leisure or lounging these loose fit joggers feature an elasticated drawstring waistband, two front pockets, ribbed cuffs and a soft lining. Finished with an embroidered Superdry logo down one leg and a discreet rubberised Superdry logo badge on the back.